We can bring a full pop-up experience to your venue; whether it’s for 5 people or 500, we can help. If you want to stage your own ticketed or free entry screening at an outdoor or indoor venue, we’re all over it, Fundraisers, corporate and community events, festivals, we can do them all. And it doesn’t have to be a big public event. If you want intimate pop-up cinema in your garden or at a wedding or party, we can bring you an incredible quality package at a reasonable price, and your guests will be wowed. 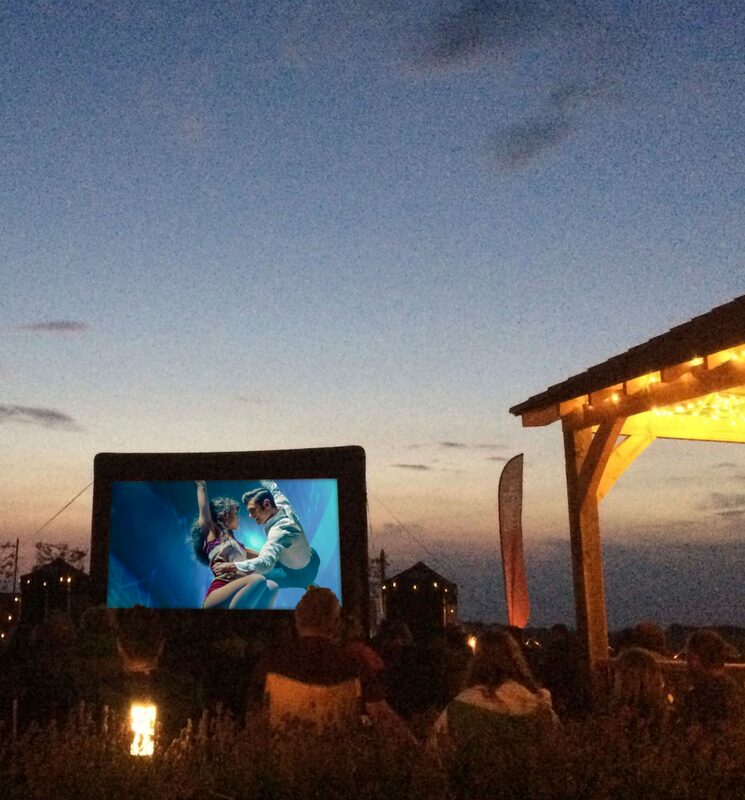 There’s nothing like the atmosphere of open air or themed event cinema. Its a concept that’s becoming more and more popular by the year, and we love being a part of it. If it’s a private party (outdoors or indoors) we can bring the film, cinema quality big screen (in a range of sizes), HD projection equipment, great sound, event lighting and power supply if needed, plus great branded deckchairs. If you’d prefer to project a games console, or a sporting event or the season finale of your favourite show on a big screen, we can do all that too. If you really want to go to town, we can help you with lots of other elements including entertainment, stages, live music, DJs, marquees, giant games, décor, artisan food and drink producers and more. We’ve been in the events business for some time, so we know where to get pretty much anything you fancy. Just choose your favourite movie, invite your guests, and we’ll do the rest. If it’s a public screening you’re after, we’ll deliver the full technical movie package on the day, while also arranging your screening licence (you’ll need one of these to show a film legally) and the booking of the movie itself. We’ll also help with event management, and can provide the fun stuff (additional entertainment, great food and drink, lighting and décor) and the boring but important stuff (health and safety, staffing, toilets, event management plans) if you need help with this. Once we’re introduced to a great place for outdoor or indoor cinema (which can sometimes be the most unlikely of venues) we’ll arrange a site visit to determine how it’ll work best for all concerned. Sometimes we take on full event management and run the whole show ourselves. We can also simply hire a package to the venue and assist with advance planning and coordinating the show on the night. We bring all the technical kit needed to stage a high quality open air or indoor cinema experience, and can sell tickets and arrange licences if needed. We’ve been involved in the planning, delivery and marketing of major events for more than 15 years, and we’re friendly, helpful and experienced. If you have an interesting venue that you think would suit open air or pop-up cinema, please get in touch!